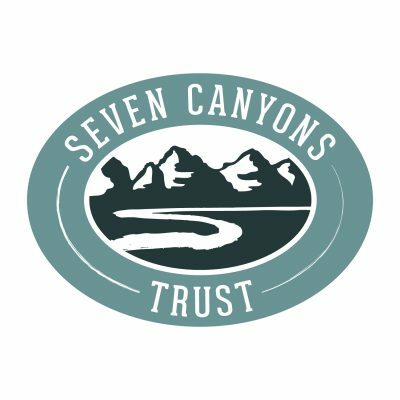 The Seven Canyons Trust works to daylight and rehabilitate the seven canyon creeks of Utah’s Wasatch Range, restoring beauty and health to the hydrology in Salt Lake County, Utah. Daylighting is a term to describe the uncovering of buried urban waters, bringing them back to the surface, and restoring their stream channels. According to research by the Trust, over 21 miles of Salt Lake County’s seven main tributaries to the Jordan River are buried in underground culverts. Additionally, 143 miles of the aboveground reaches are impaired under the Clean Water Act’s 303(d) List of Impaired Waters. By harnessing the history of place – where the creeks once flowed freely – the Trust engages locals to amplify their voices and promote community stewardship that leads to action and attachment toward their hydrologic systems, connecting a population of 1,107,314 people to natural green spaces. The Seven Canyons Trust emerged out of a University of Utah Urban Ecology Workshop in 2014. It’s visioning document for reconnecting these riparian corridors to ecosystems and communities, entitled 100 Years of Daylighting, won a Utah American Planning Association Outstanding Achievement Award. This studio spurred the creation of a nonprofit to carry out the 100-year vision to uncover and restore the valley’s creeks. This vision presents a new ecological planning paradigm – challenging the past century of stormwater management – to usher in the next 100 years of uncovering these waters to address water quality impairments, flooding, public health concerns, economic vulnerabilities, and quality of life.